MILLSBORO, DE – The Bob Hilbert Sportswear Short Track Super Series (STSS) Fueled By Sunoco ignites during the month of March. Two major events are on the docket to kick-start the 2019 STSS season at a pair of premier facilities. 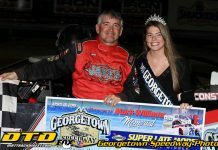 On March 15-16, Delaware’s Georgetown Speedway plays host to the Velocita-USA South Region presented by Sunglass Central and Design for Vision with the annual Melvin L. Joseph Memorial. 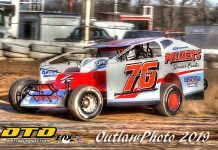 STSS Modifieds are the featured attraction on Saturday (March 16) with a 49-lap main offering $6,949-plus to win, $1,000 for 10th and $490 just to take the green flag. Also kicking off their season at Georgetown are the STSS Crate 602 Sportsman racing 20 laps with $1,490 up for grabs in Race No. 1 of the South Region. The two-day Melvin L. Joseph Memorial showcases racing on both Friday and Saturday nights. Friday (March 15) action includes Small-Block Modifieds ($4,049 to win), RUSH Late Models ($1,049 to win), Delaware Super Trucks and Delmarva Chargers. 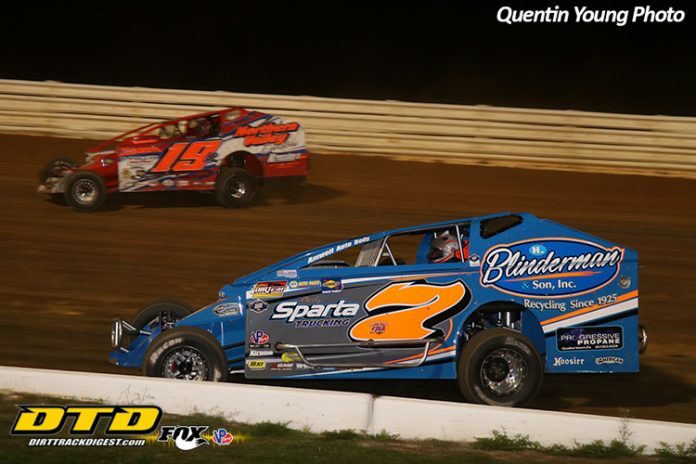 On Saturday, the STSS Modifieds and Crate 602 Sportsman are joined by Southern Delaware Vintage Stock Cars, Delaware Super Trucks and Delmarva Chargers. One week after Georgetown raises the curtain on Northeast racing, attention turns to Port Royal (Pa.) Speedway for the ‘Speed Showcase’ on Sunday, March 24. Round No. 2 of the STSS Modified Velocita-USA South Region, a 40-lap event paying $5,000 to win, $1,000 for 10th and $400 to start. A fan-pleasing doubleheader is set for the ‘Speed Palace’ as the STSS Modifieds are paired with the ULMS Super Late Models offering $3,000 to the winner. The Georgetown Melvin L. Joseph Memorial weekend and Port Royal ‘Speed Showcase’ will be broadcast live via Dirt Track Digest on DTD.tv, along with all ’19 STSS events. To learn more about the Short Track Super Series Fueled By Sunoco, visit www.shorttracksuperseries.com, e-mail bdmotorsportsmedia@gmail.com, check out ‘Short Track Super Series’ on Facebook or @ShortTrackSS on Twitter or Instagram. The Short Track Super Series is presented by American Racer/Lias Tire, Sunoco Race Fuel, Insinger Performance, Bob Hilbert Sportswear, Halmar International, Velocita-USA, Design for Vision/Sunglass Central, Rob Sherlock Roofing, ATL Racing Fuel Cells, Behrent’s Performance Warehouse, Beyea Custom Headers, Bicknell Racing Products, Dirt Track Digest, Fast Axle, Fox Racing Shocks, Henry’s Exhaust, Hig Fab, HyperCo, Kirkey Racing Fabrication, Land Hoe Maintenance, K&N, Precision Hydraulic & Oil, QA1, Racing Optics, Superior Remodeling, Teo-Pro Car, VAHLCO, Velocita, WELD Racing & Wilwood.